Mfr Part: 2121 092763021217 For serious rifle competition, you'll be in championship company with MatchKing® bullets. The hollow point boat tail design provides that extra margin of ballistic performance match shooters need to fire at long ranges under adverse conditions. Mfr Part: 2121C 092763521212 For serious rifle competition, you'll be in championship company with MatchKing® bullets. The hollow point boat tail design provides that extra margin of ballistic performance match shooters need to fire at long ranges under adverse conditions. 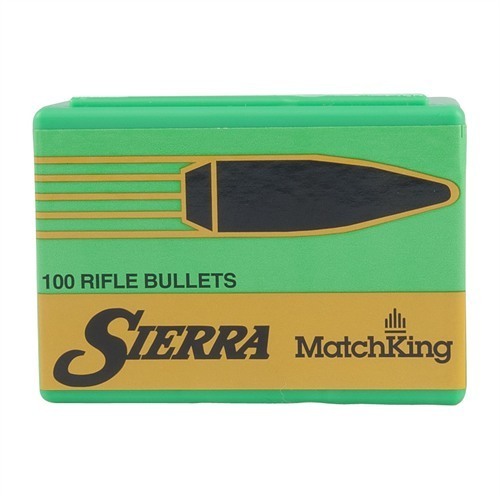 Mfr Part: 9350T 092763393505 For serious rifle competition, you'll be in championship company with MatchKing® bullets. The hollow point boat tail design provides that extra margin of ballistic performance match shooters need to fire at long ranges under adverse conditions. Mfr Part: 1997C 092763519974 For serious rifle competition, you'll be in championship company with MatchKing® bullets. The hollow point boat tail design provides that extra margin of ballistic performance match shooters need to fire at long ranges under adverse conditions. Mfr Part: 1575 092763015759 For serious rifle competition, you'll be in championship company with MatchKing® bullets. The hollow point boat tail design provides that extra margin of ballistic performance match shooters need to fire at long ranges under adverse conditions. Mfr Part: 1575C 092763515754 For serious rifle competition, you'll be in championship company with MatchKing® bullets. The hollow point boat tail design provides that extra margin of ballistic performance match shooters need to fire at long ranges under adverse conditions. Mfr Part: 1997 092763019979 For serious rifle competition, you'll be in championship company with MatchKing® bullets. The hollow point boat tail design provides that extra margin of ballistic performance match shooters need to fire at long ranges under adverse conditions.